This year EA is trying something different, as I’ve laid out in this post, in that Christmas 2018 consists of multi-events. Basically, the Simpson family will host four stories to be told over the course of December with a new story releasing each week. As we’re taken through each story a series of prizes are released to correspond with the theme of the story. 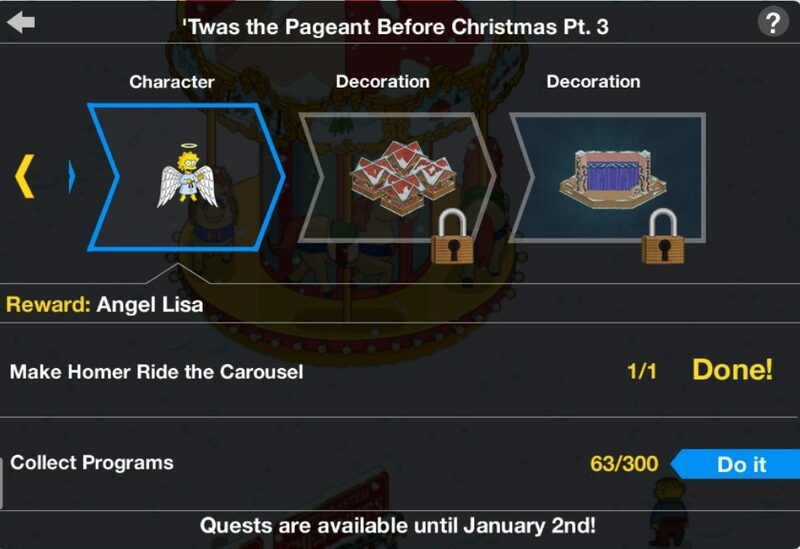 For Week 1, Act 1, we’re following a Pageant tale by Lisa, and the prizes we unlock all fit into the Pageant theme.